Best Six 6 Months / 6 Weeks Industrial Training Center / Institute / Company in Chandigarh / Mohali / Bathinda / Punjab. INFOWIZ Software Solution providing quality Training in Data Science. 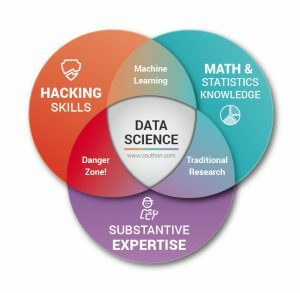 Data science is an interdisciplinary field that uses scientific methods, processes, algorithms and systems to extract knowledge and insights from data in various forms, both structured and unstructured, similar to data mining. 100% Practical based Industrial Training on Latest Softwares in Chandigarh / Mohali / Bathinda / Punjab. Best Digital Marketing / SEO Industrial Training Center / Institute / Company in Chandigarh / Mohali / Bathinda / Punjab. Best Six 6 Months / 6 Weeks Industrial Training Center / Institute / Company in Chandigarh / Mohali / Bathinda / Punjab INFOWIZ. Prerequisites- Good mathematical background and programming skills sufficient enough to learn new languages and software are required. Basic knowledge of statistics, linear algebra would be additional plus . No1 Industrial . Best Industrial Training Center / Institute / Company for DATA SCIENCE in Chandigarh / Mohali / Bathinda / Punjab INFOWIZ. Best Digital Marketing / SEO Industrial Training Center / Institute / Company in Chandigarh / Mohali / Bathinda / Punjab INFOWIZ.